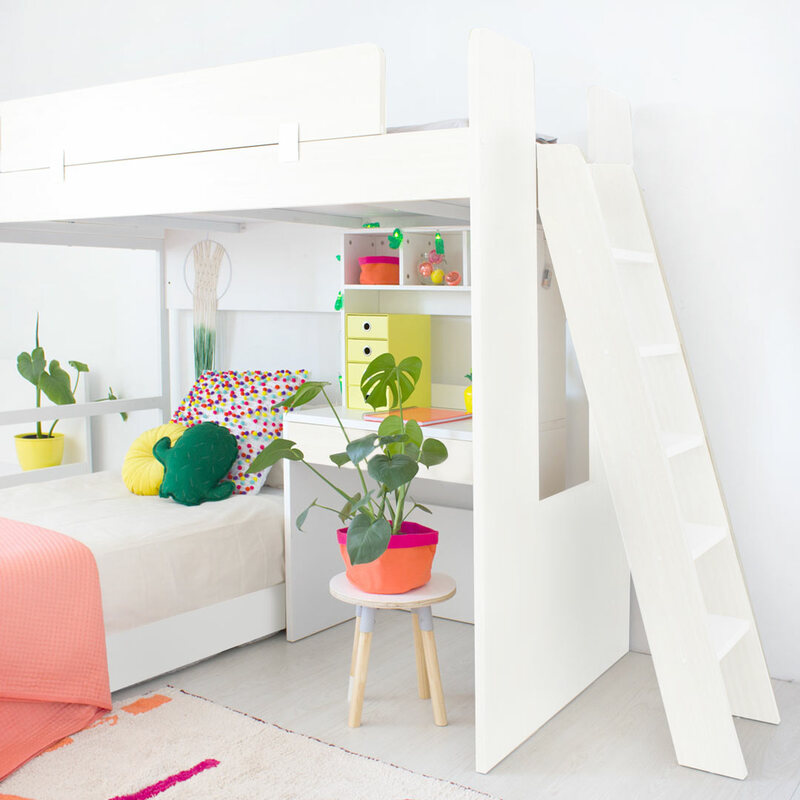 The all white Bjorn Study Bunk Bed has a metal support reminiscent of a floor to ceiling window on one side that can accommodate a desk and bottom bed. 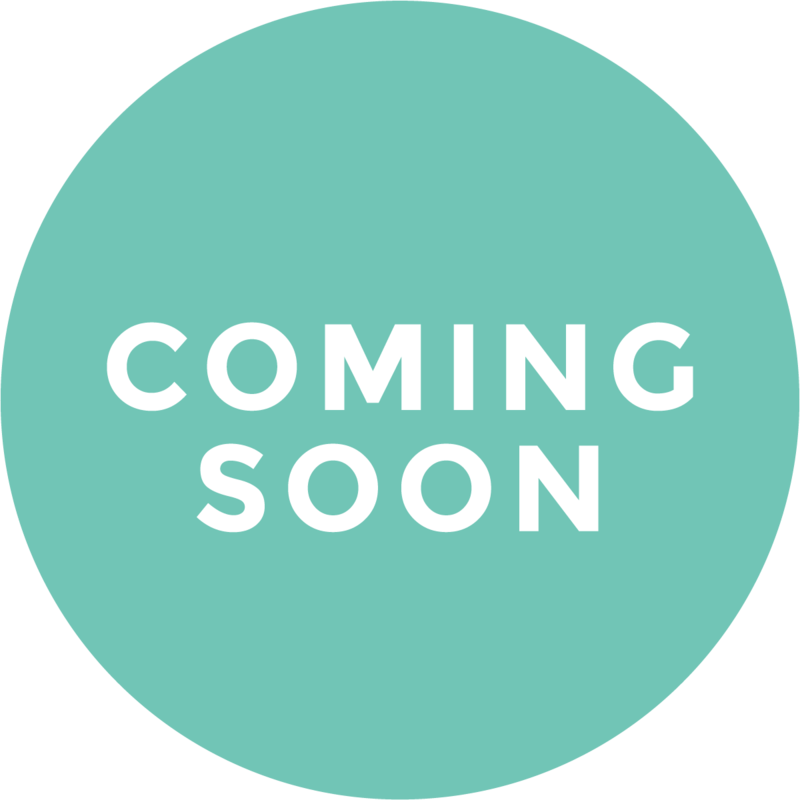 The ladder can be placed on the right-hand side of the bunk or the safety rail can be moved far left or far right along the front of the bunk which allows one to also mount the ladder at the front of the bunk if space is tight. The safety rail does not have a gap where arms can be trapped and can be positioned anywhere on the top bedside. The base boards of the top bunk are solid for a neat finish, resting on top of metal supports. 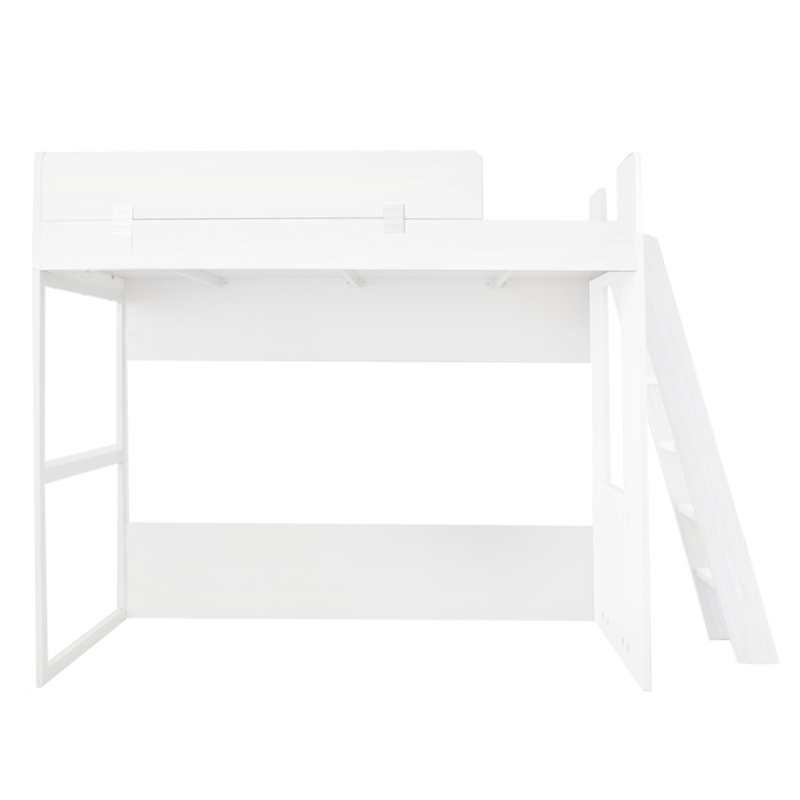 The desk is available separately and is designed to fit underneath the bunk whilst accommodating a single or 3/4 bed. This bunk can fit the Loki single or 3/4 bed underneath that fit next to the desk. 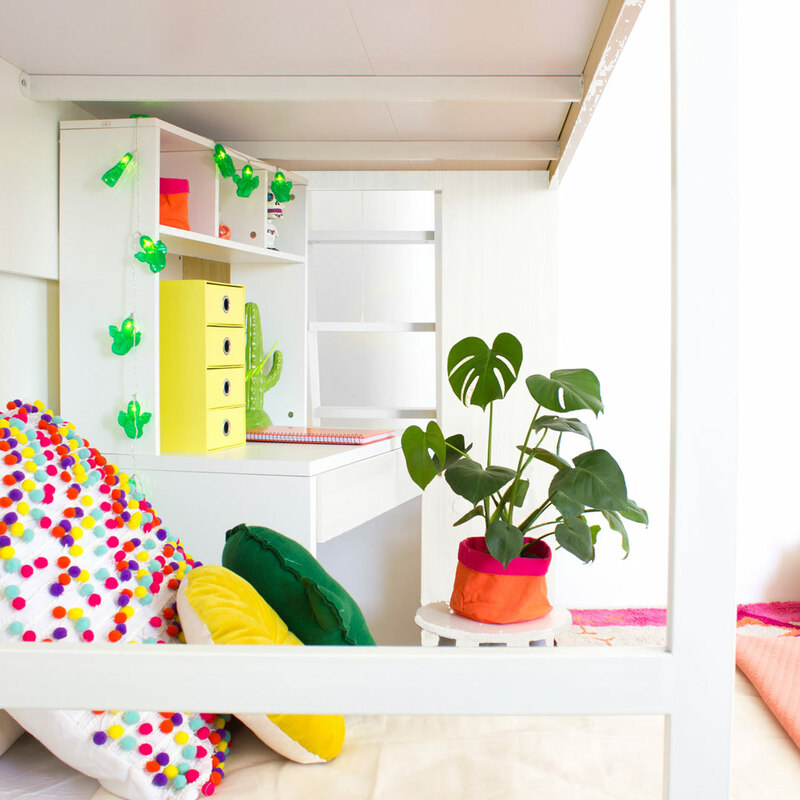 Alternatively, if no desk is chosen this bunkbed can accommodate any standard double bed underneath. 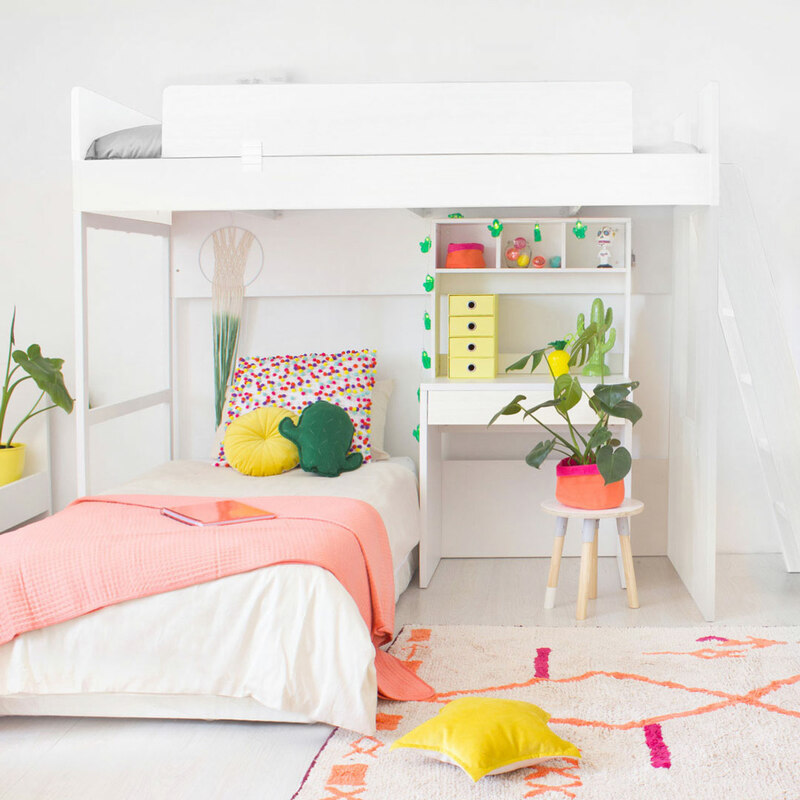 The Loki Bed can be placed underneath the bunk with room to spare, and fits the optional Loki Underbed (both available separately in white or woodgrain) can accommodate sleepover guests. The Underbed includes two removable partitions, so it can also be utilised for convenient additional storage. 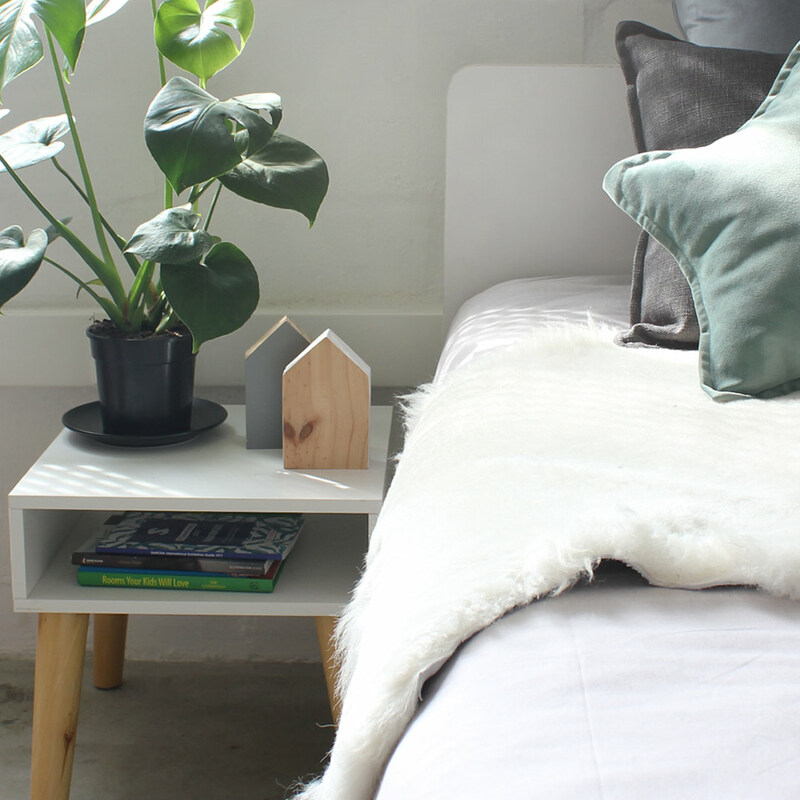 Make sure the ladder is securely attached to the bed and in good condition and never remove it—for any reason!